Looking for a new home for Fido in the Redland? 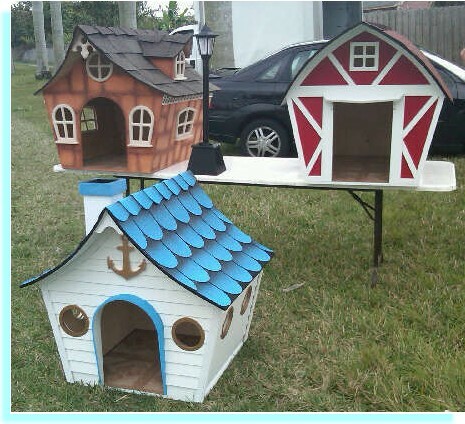 This place has the most adorable doghouses, custom made by Mike. They range from teeny weeny little ones for Fifi to sprawling ranches for Brutus. One of their nicest models is called Ines. Loved that! When I stopped by to snap the pictures I couldn’t find anyone to give me prices so I will have to report back on that. 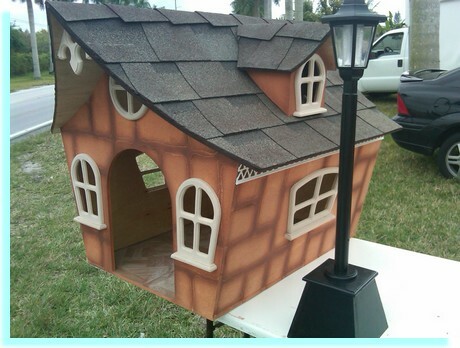 You can find these lovely doghouses on Krome Avenue and 272 Street. Apparently, they also have them over on US1 and 262 Street, although I haven’t been over there to verify that. Maybe today! And this article is not real estate related but I wanted to get it out there. My office is in South Miami and I find myself in Kendall a lot too. I have seen gas at $3.25 in most places. Even with my small gas tank, I usually pump 15 gallons. At $.30 that’s $4.50 in savings at each fill-up. I fill up 2-3 times a week, so it adds up.